Educators, parents, librarians, and young readers are asking us publishers for more diversity titles for the "young adult" and "YA/crossover" markets. The United States is no longer (if it ever was) a nation of Dicks and Janes, blue-eyed kids in single-family houses with picket-fenced yards. Contemporary readers want books to reflect America's polyglot demographics and dreams. Young readers (and their adults especially) expect books to reflect diverse life in a complex society, with characters linked to their own neighborhoods and to global issues alike. I'm unaware if there are any unfavorable reviews of diversity titles now on the market. The eagerness for this content tends to make diversity itself the topic, illustrated by the story. But as with any revolution, we won't know its effects until a few years hence: Which books will have become classics? Which will have been forgotten? Will books focused on current expressions of diversity feel as helpful to readers in ten years? Will the stories hold up as natural and true? These are the questions that arise with the energetic impulses of any new movement, literary or social. To Kill a Mockingbird is now "diversity literature." It hardly needs to be. It was a great literary novel and humane document before, and it will survive as both however it is used in a moment. By next September, Upper Hand Press will have two "young adult/crossover" titles, both of which could be entries into the diversity market. If anyone chooses them for that reason, I'd be honored and I think the authors, Rhonda G. Williams and Nicholas H. Bradley, would be too. In both, the protagonists are children: in The Naming of Girl (2016), it's a nine-year-old girl; in Rickie Trujillo (2017), a high school boy. The moving narratives transcend the limits of any reader's prejudices about appeal of stories about kids. In both books, the language is natural, sophisticated, and undiluted; the protagonists' challenges are with the natures of their fully-described, lived-in worlds. Each book seems quite to fit into the diversity environment. Each has a vivid "minority" protagonist fighting adverse circumstances; each needs allies where there seems to be none; each has to use limited knowledge of the world and a brutalized sense of justice to fight for self-definition and survival. But neither Girl Brown nor Rickie Trujillo really has a good chance despite all their efforts. The odds are against them in their impoverished, bleak worlds that don't nurture children. Children have weak advocates and are left to fight with all they have against opponents they can't beat. The Naming of Girl is a gothic novel, Rhonda Williams reminds us: It's the nature of that genre that all the characters are damaged people who have to live with their flaws and the effects of those flaws upon one another. But within that context, Girl Brown lives in a real world. The setting is a South Arkansas backwater in which we see rural poverty as it is almost never represented in contemporary literature. Ignorance, poverty, and the greed that attends them are as much characters as the people. And the people in Girl's world are her guardians who are a Viet Nam amputee and mean drunk, and his drug-addict girlfriend. They also house a mentally disabled adult man, nine-year-old Girl's best friend. Girl is bullied by three vicious little boys egged on by her guardian. Her guardian puts a black teenager in the hospital after beating him up; the black boy's mother is the only civilized person in Girl's life. You want diversity? That's just the beginning. The Naming of Girl is not about diversity, though. Diversity is the nature of Girl's world. Poverty, racism, retardation, drug addiction, and mean ignorance make "diversity" a very complex concept. All are intertwined, all reinforce and magnify one another. Girl is not fighting a single person or prejudice; the world is indeed against her and her strength is manifested in her fight on all fronts with only nine-year-old will to live. 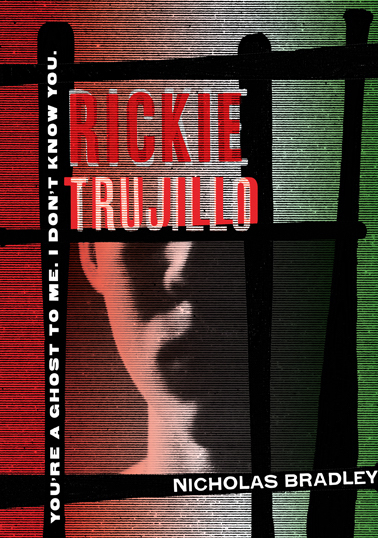 Rickie Trujillo, a YA/crossover novel, is grittily realistic——based on a real character, in fact. But, as in The Naming of Girl, diversity is neither a single issue nor the point. The characters are all teenage boys living in the East San Fernando Valley, Los Angeles, many the children of undocumented Mexicans. As in The Naming of Girl, though, poverty, racism, juvenile crime, the failure of adult care and mentoring, and the impotence of dreams are as active enemies as rival crews of taggers and neighborhood gangs. But diversity? This is a novel for our moment of concern with Hispanic youth, urban poverty, and juvenile crime. Again, all of these issues aggregate and won't be teased into easy morals or examples. Neither Rhonda Williams nor Nicholas Bradley rewards the reader with a simple conclusion for their protagonist. For each child, life is crushing. Do these books meet the diversity goal of reflecting diverse realities? Of course they do; alas they do. Are they uplifting? Yes. I chose these books to publish because each is complex and loving with its hard truths. Each is on the side of the angels, and each teaches the reader about the difficulty of remaining there, especially with a child's insufficient resources. Both of these novels should make us humble as adults; both remind young adults about the legitimacy of anger and the importance of strategy. Race, lovelessness, vicious role models, poverty, ignorance, abandonment, experiencing or witnessing abuse: It is a diverse world, rarely packaged neatly. The Naming of Girl and Rickie Trujillo are two brilliant novels for adults and teens alike to learn from and grow with. Really very interesting post.Thank you so much for share.